11-Way Protection includes; Virucide, Bactericide, Sanitizer, Fungicide, Insecticide, Deodorant, Germicide, Disinfectant, Mildewcide, Bacteriostatic and Fungistatic. Steri-Fab is ideal for treating mattresses for odors, bacteria and insects. 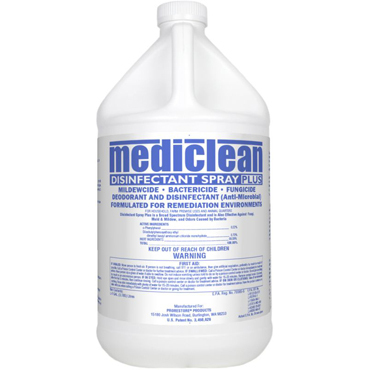 Can be sprayed directly on most furniture, lockers, cabinets, drawers, carpets, car interiors, animal bedding/cages, beds, bus seats/interiors, hospital waiting room areas, doctors offices, police cars, garbage bins, etc. 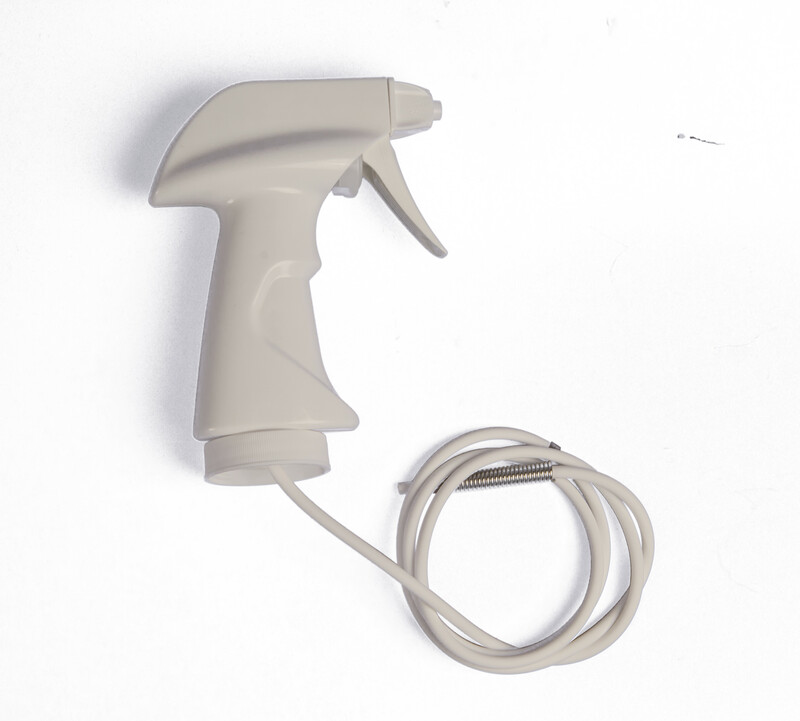 Can be used to sanitize mattresses and kill bed bugs. 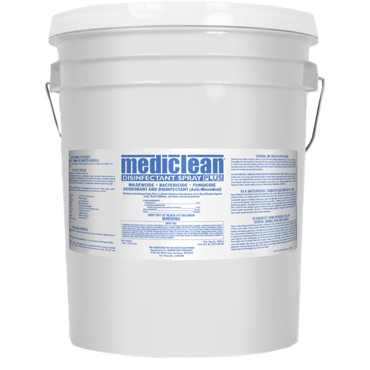 Steri-Fab is the ONLY EPA registered disinfectant and insecticide in one product. Steri-Fab is THE disinfectant/insecticide that kills lice, dust mites, bed bugs, roaches, fleas and a host of other insects. Steri-Fab offers 11-way protection against insects, germs, and odors: Virucide, bactericide, sanitizer, fungicide, insecticide, deodorant, germicide, disinfectant, mildewcide. Schools, day care centers, hospitals, hospital emergency rooms, homeless shelters, office complexes, veterinarians, animal kennels, hotels, motels, churches, retirement homes, day camps, sleep away camps, dormitories, homeowners, trailer parks, bus lines, police departments, jails, prisons and more. In tests conducted by the MGK Company, Steri-Fab provided 100% knockdown at +1 hour and 100% mortality at +24 hours on bedbugs. Contains no perfume, dyes, or harsh solvents. Leave mites in the dust with Steri-Fab: Steri-Fab offers the unique ability to kill dust mites and bed bugs on inanimate surfaces such as mattresses, upholstered chairs, couches and carpets. Steri-Fab is a deodorizer: It kills odor causing organisms on carpets. Restrictions on Use: Keep out of reach of children. Use only in well ventilated areas. Storage: Protect product from freezing. Keep container closed when not in use. Keep away from open flame. Coverage: 1,500 square feet per gallon. Manufacturer: Noble Pine Products, Inc. - Castoleum Corporation. Why should a potential customer who only wants a disinfectant be interested in a product like Steri-Fab, which also kills insects, etc.? It is the rare circumstance indeed when the need for a disinfectant does not also warrant the need for an insecticide. Conditions that require disinfectants are normally breeding grounds for many different types of insects. Why should a potential customer who only wants an insecticide be interested in a product like Steri-Fab, which also kills bacteria, fungus, virus, etc.? It is just as rare for an environment to only need an insecticide as it is for it to only need a disinfectant. Conditions that require insecticides are often breeding grounds for many types of bacteria, fungus, germs, odors and mildew. Steri-Fab makes so many claims, how can this amazing product not be residual? 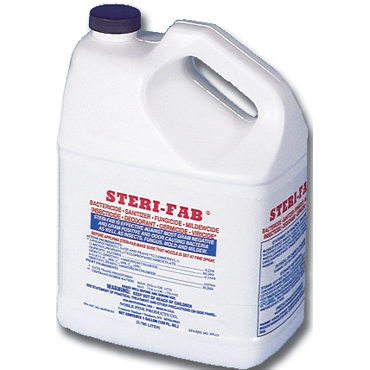 Steri-Fab is a combination of a synthetic pyrethroid, a dual quat, isopropyl alcohol and water. When the product dries (15 - 20 minutes at room temperature) it is no longer active. Why doesn't Steri-Fab contain a fragrance and/or dyes? Steri-Fab is fragrance and dye free so after the product dries only the person who applied it will be aware it has been sprayed. No. Steri-Fab is used as is. Steri-Fab should only be applied by spraying onto the surface. Steri-Fab can be applied using a sprayer that will work with a water thin liquid (when using an electric sprayer, check with the manufacturer for compatibility with a flammable liquid). How much should a customer pay to have Steri-Fab applied? Since Steri-Fab is the only product of its type, pricing is not based on a competitive basis with other products, but rather on a square foot cost. (1 gallon treats approximately 1500 square feet). Since Steri-Fab is not a residual product, how long can the claims be made on a treated surface? Steri-Fab is essentially inactive after it dries. This has become one of the major selling points of the product because it reinforces the non residual qualities of the product. Steri-Fab must be shaken well before and during application to ensure that the identification crystals are dispersed throughout, so they are applied evenly. NOTE: In Texas, you must have a germicidal treatment license to be a mattress renovator. Since Steri-Fab is non-residual, additional heat treatment may be needed. Steri-Fab should be used as a supplemental product to a bed bug elimination program. Steri-Fab alone will not eliminate a bed bug infestation as it leaves NO residual. Surfaces and objects must be cleaned of gross filth before treatment. Spray surfaces and articles until thoroughly dampened and allow to remain wet for at least 10 minutes. Be sure that the nozzle is set at fine spray. If using a hand or power sprayer, keep approximately one foot from surface to be sprayed, and apply Steri-Fab over all surfaces until thoroughly dampened coverage is obtained. Allow upholstered or fabric surfaces to dry before use. Hard surfaces may be wiped dry after at least 10 minutes. Because Steri-Fab was formulated not to be a residual product, you must make direct contact with insects and their eggs to be effective. Retreat every 7-10 days or as needed. Apply 4-5 ounces on single beds and folding cot mattresses and 6-8 ounces on double bed mattresses. Remember that the box spring will also require treatment with an equal amount of Steri-Fab. A dew like mist is normally sufficient to assure complete coverage and compliance. 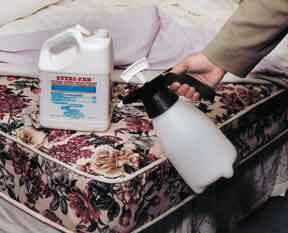 Steri-Fab is a popular product used by the mattress industry to disinfect pre-owned mattresses. Many state laws and regulations require that STERI-FAB be used allowing inspectors to see with a black light if the mattress has been treated. Also, treat mattress before applying bedding encasements. Simply spray the mattress and box spring lightly and wait about 15 minutes or until completely dry. Once dry, apply the bed bug encasements. 1 case of Steri-Fab will treat about 32 sets of mattresses and springs. Apply 4-5 ounces to small sizes such as love-seats and 6-8 ounces to regular size sofas. Use 8 ounces on convertible sofas. Many states require that a contractor applying a pest control product be licensed. Please contact your state EPA office for further information. Steri-Fab may not be compatible with wax finishes. Use of Steri-Fab on stain-resist nylon carpet will void the warranty. Steri-Fab is not compatible with some wax finishes. Steri-Fab may not be shipped via air! NOTE: Steri-Fab may not be shipped via air! Click the “Usage & Tips” tab above for Detailed Information on Bed Bugs.